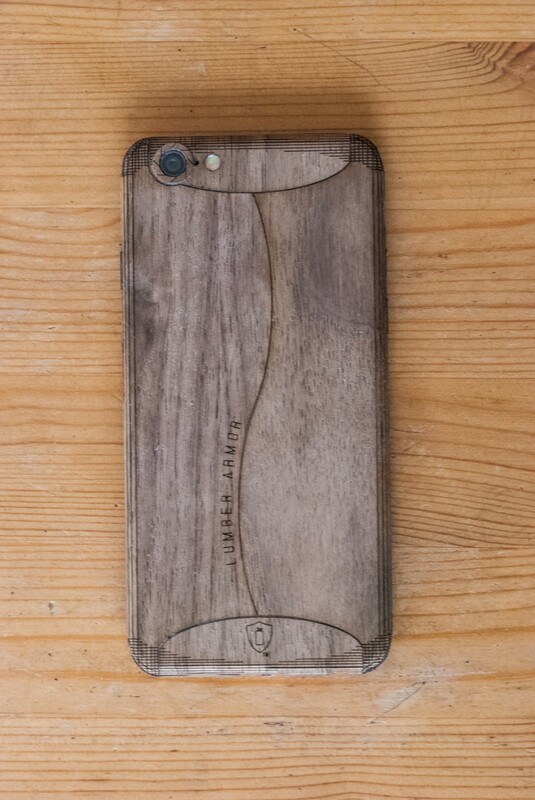 We created our Walnut iphone 6S case to fully wrap your iphone 6S in one of the most beautiful materials available today. 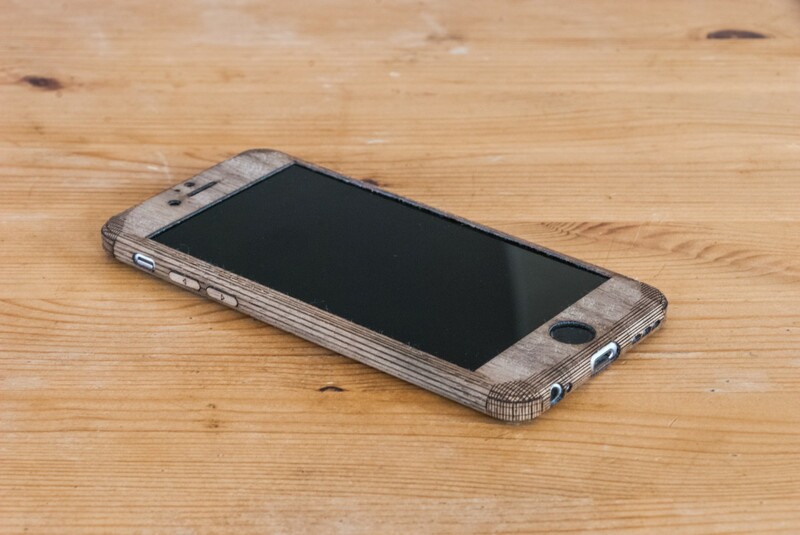 Our wraps are soft and smooth to the touch and complement your iPhone's form factor perfectly. 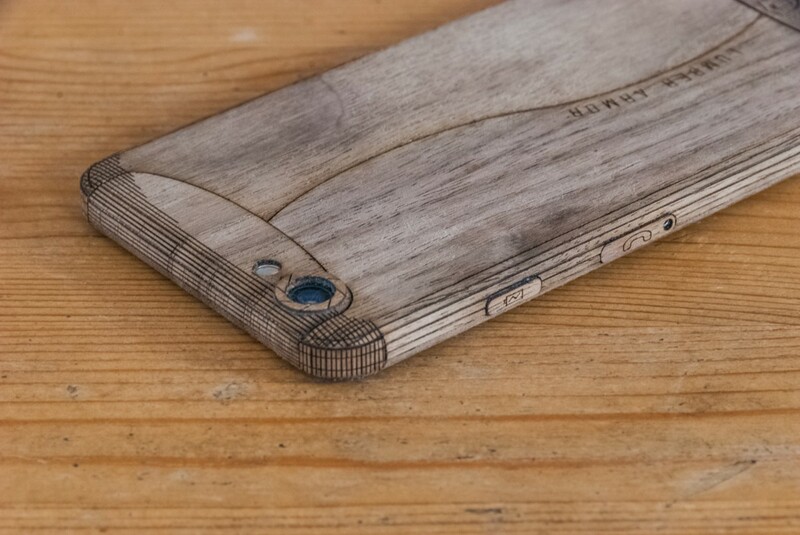 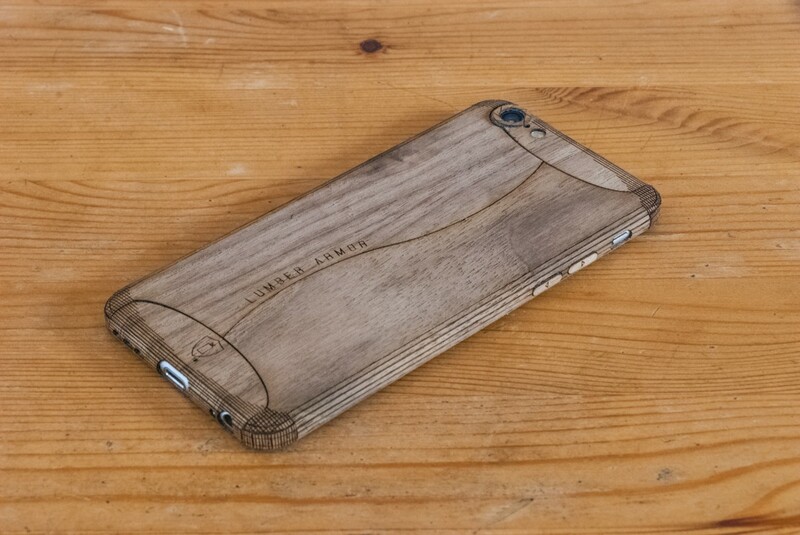 The case is created using a single-piece of walnut veneer with an adhesive backing that is laser-cut to wrap around your phone and encase it perfectly. 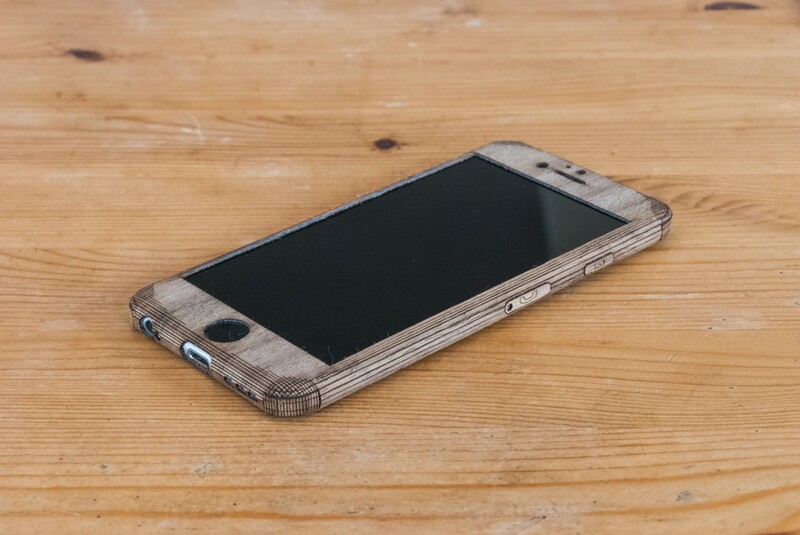 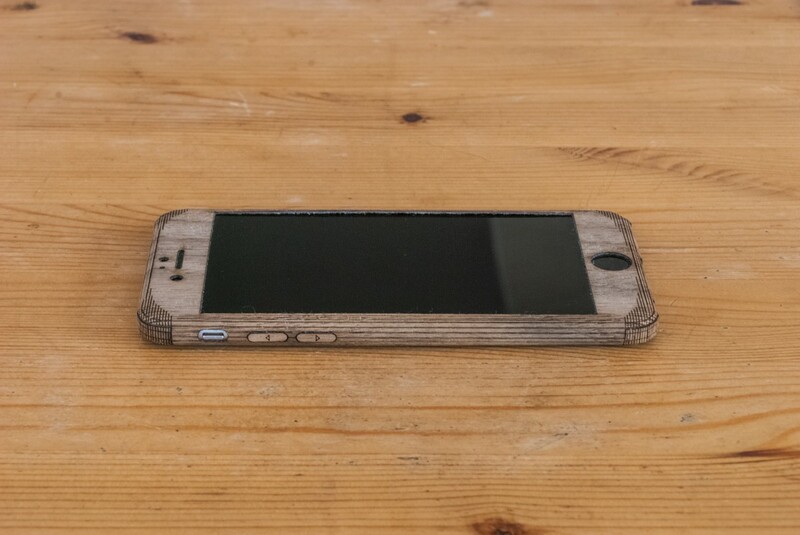 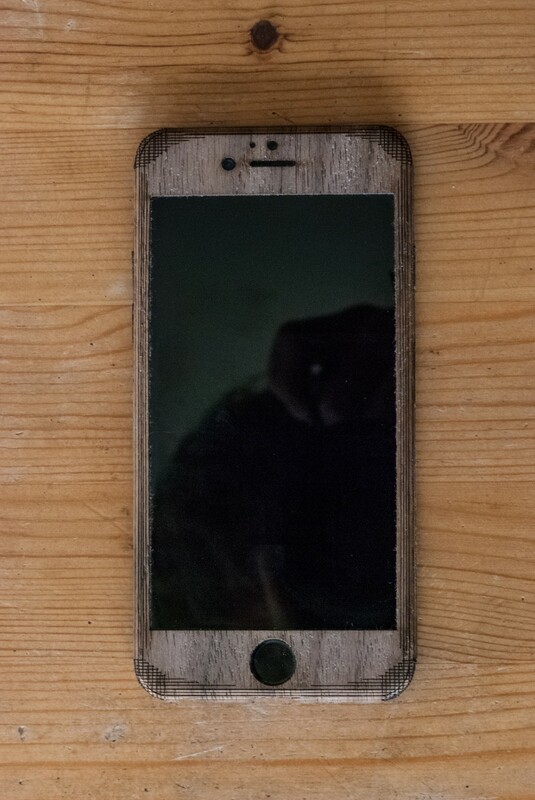 Our real wood iPhone wraps not only cover your iPhone with your favorite variety of wood but also protect it from drops, dents and scrapes. 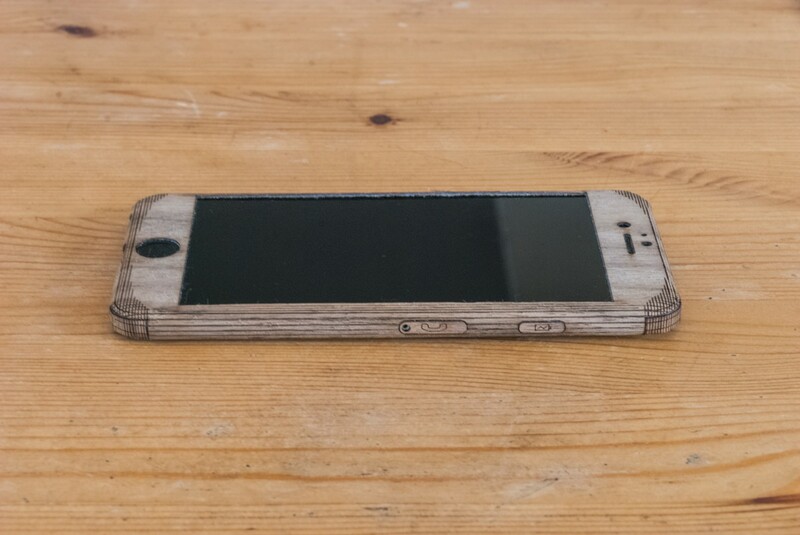 They can even help reduce speaker vibration and improve sound quality. 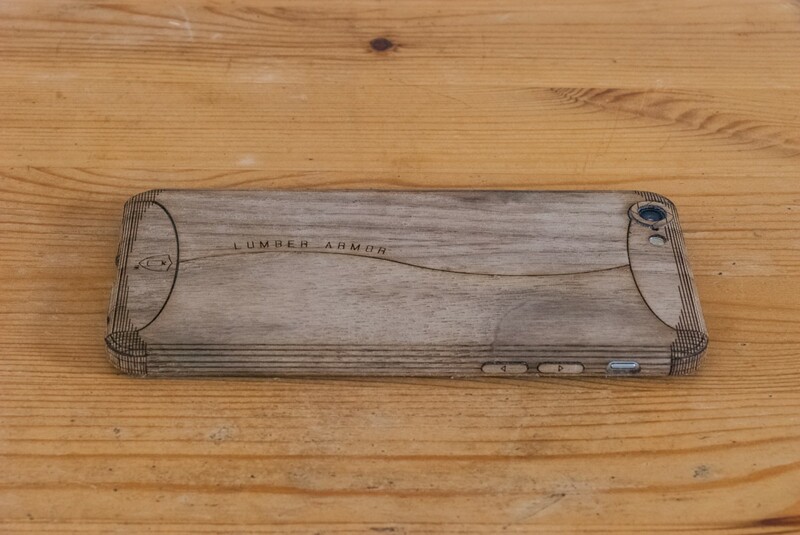 (1) Laser-Cut Walnut iphone 6S Wrap (2) Sets of Laser-Etched Buttons Custom laser-etching is available and lets you create a custom iPhone cover that is truly unique. 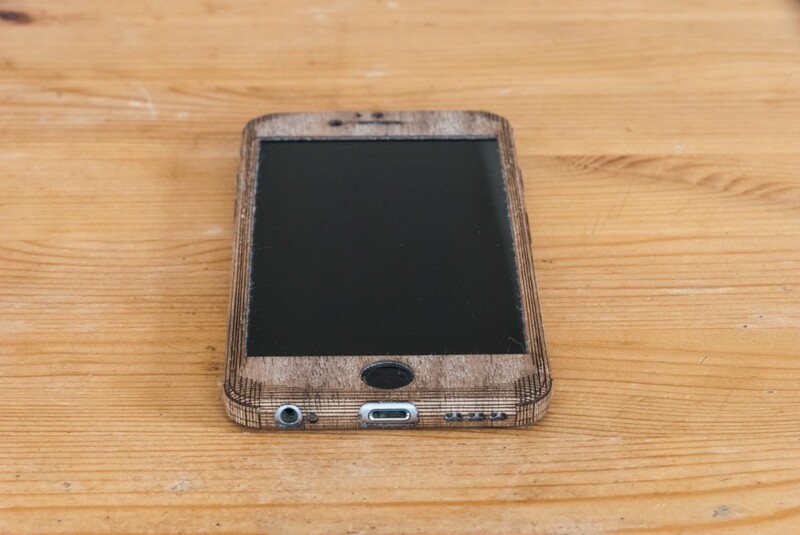 Please contact us at info@wooodeniphonecases.com for the template or with any questions.